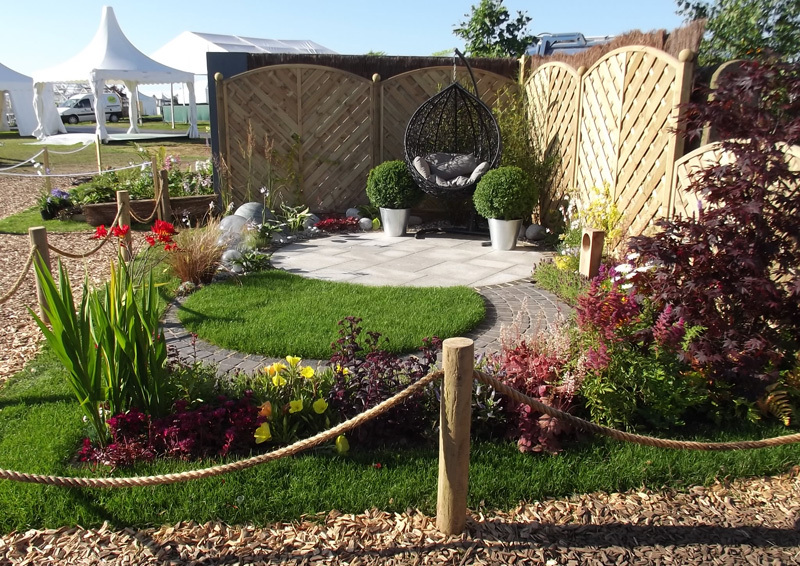 As our previous news states; dated March 2012 (below), you may already be aware that we decided to enter the RHS Tatton Flower Show after a visit to the RHS Chelsea Flower Show in 2011, so from November 2011 until July 2012 its been a long process. 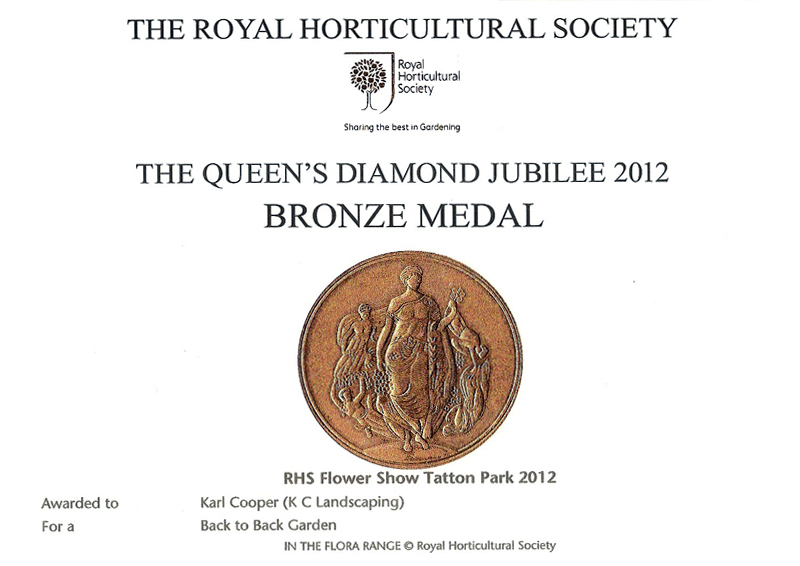 However, our efforts were rewarded with a fantastic RHS Bronze Medal for our design "No Corners Just Curves"! 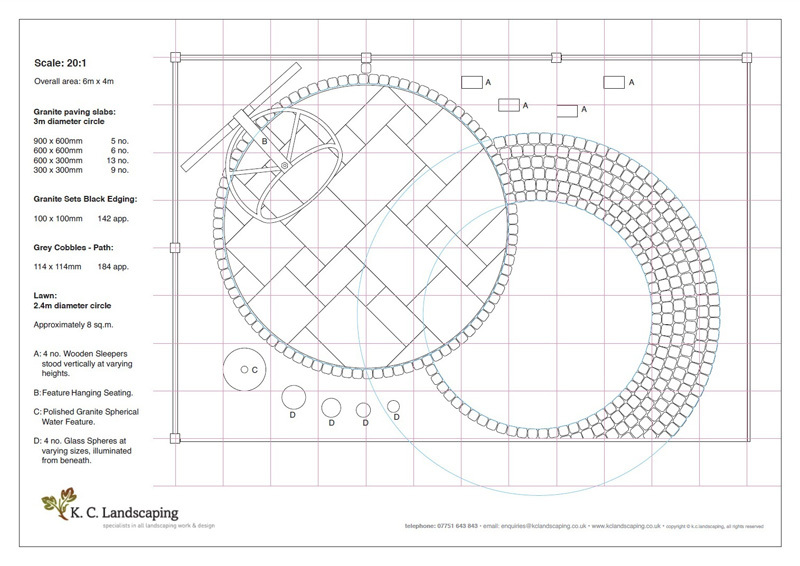 We had to apply, then we had to come up with a design and a theme, which was based on circles and curves, hence the title "No Corners Just Curves". 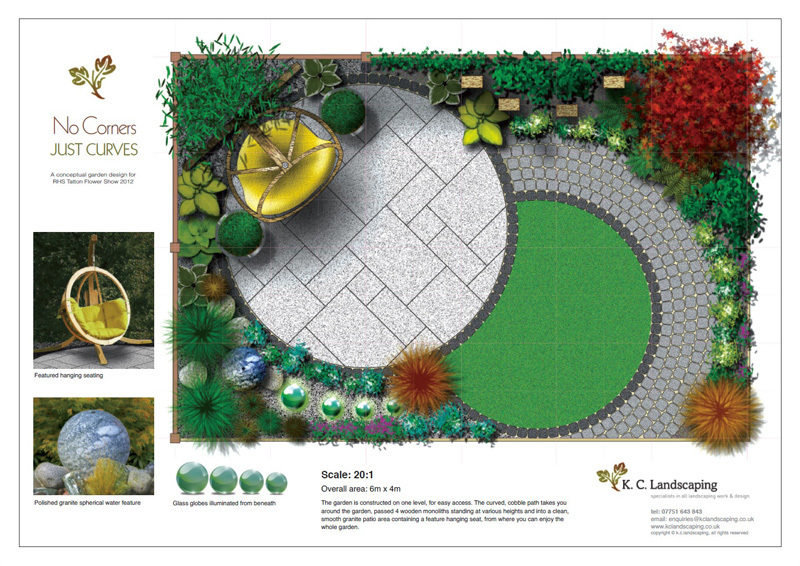 Then we had to wait until February 2012 to find out if our design had been accepted. 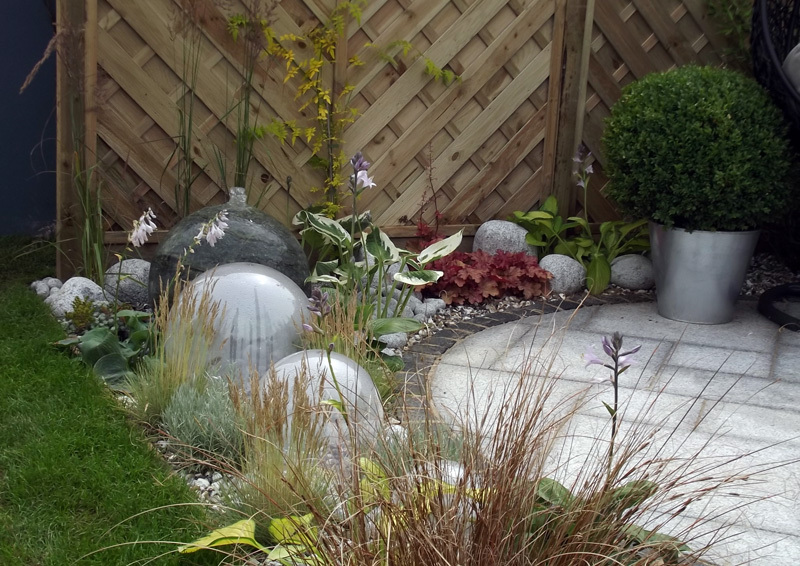 When we found out we had been accepted we were very happy, but it was also the start of a long process getting everything organised and put together. 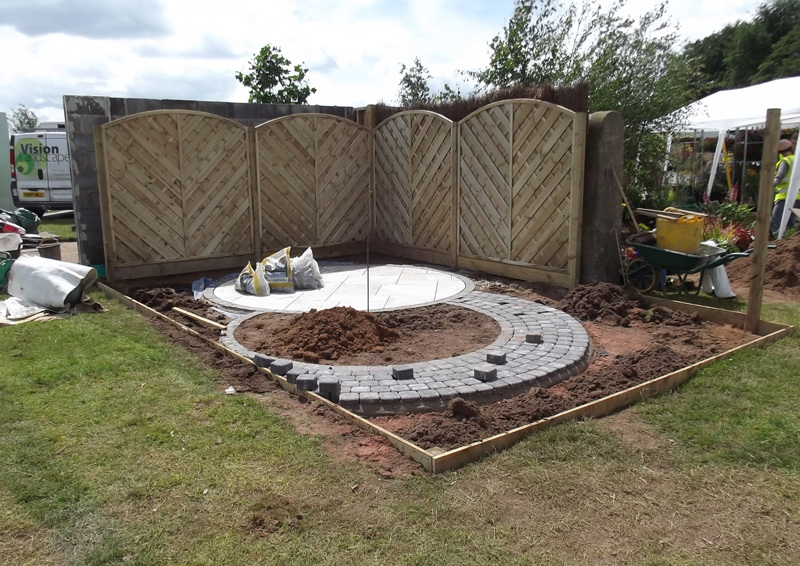 I was lucky enough to have three sponsors, Borderstone Paving, Barton Fields Garden and Patio Centre and Summerfields Nurseries Catton plus a lot of it was self funded. 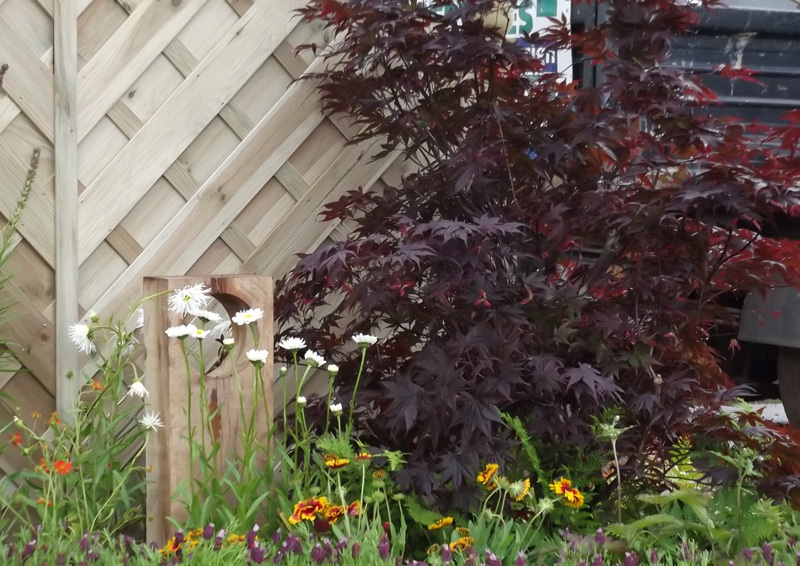 The whole experience of constructing our design and then to go on and win a RHS Bronze Medal on our very first attempt we had ever entered and done anything like this before; and to see and hear the public's responses, well, it was amazing! 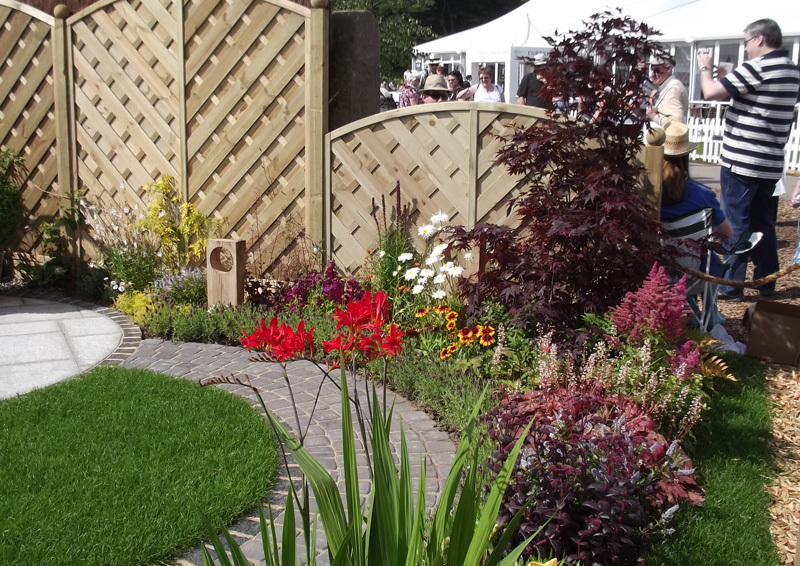 We have already applied to do this again in 2013 so watch this space! 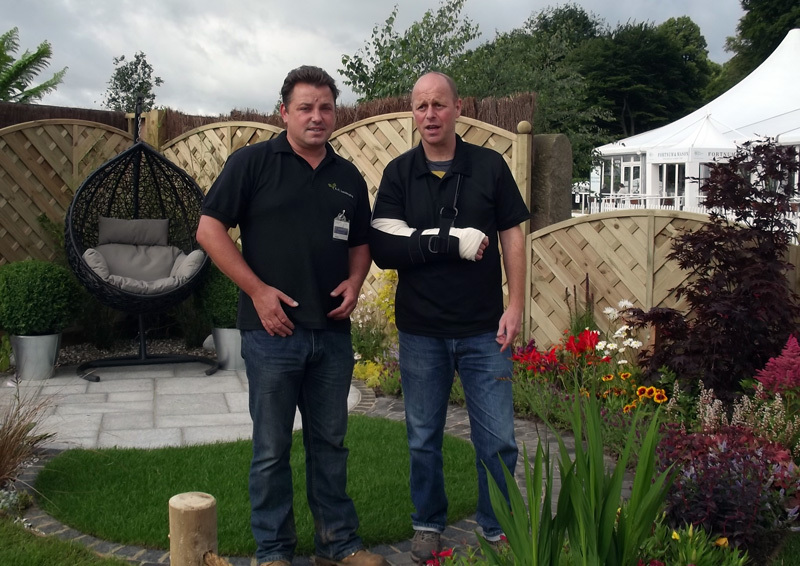 Hi good news for K C Landscaping! 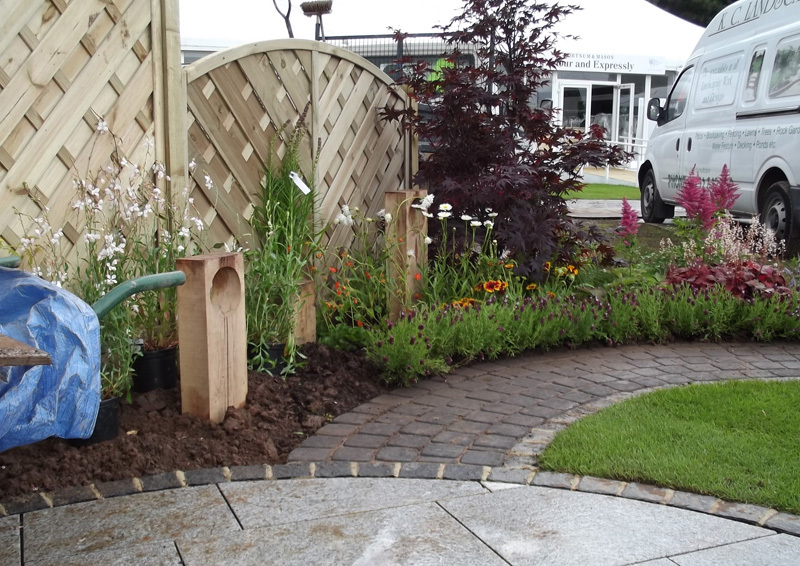 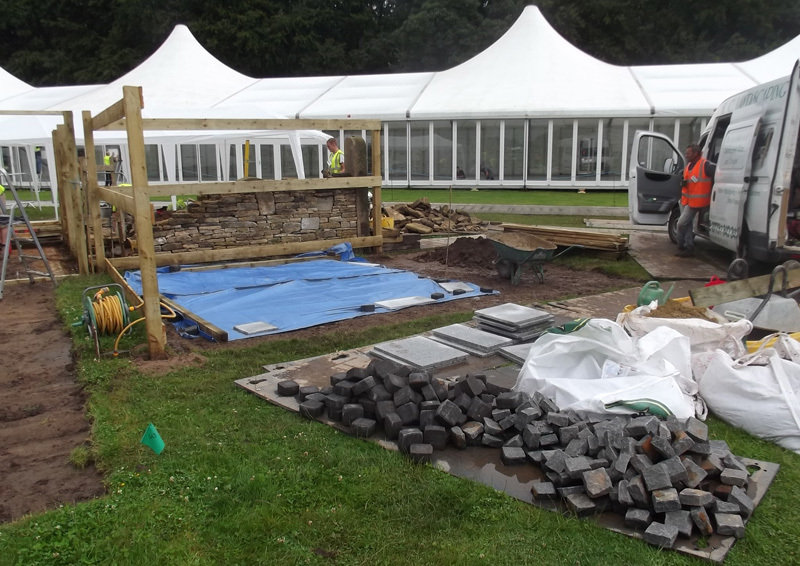 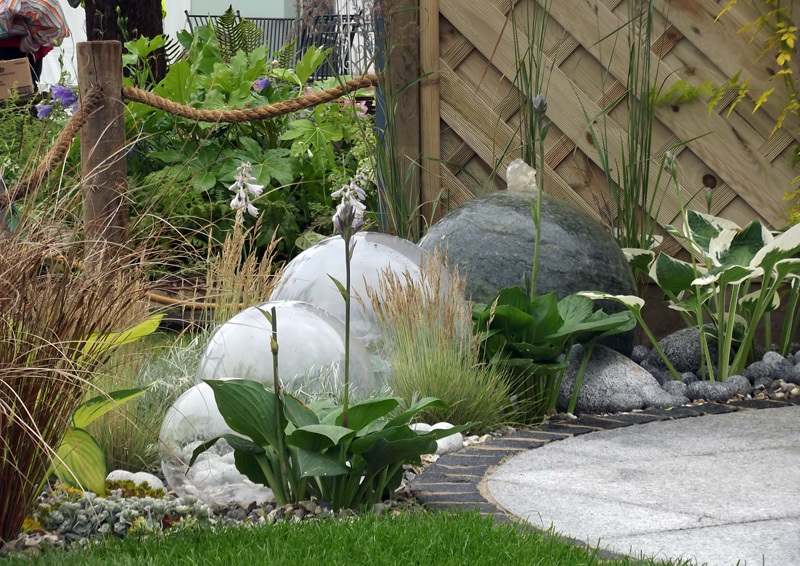 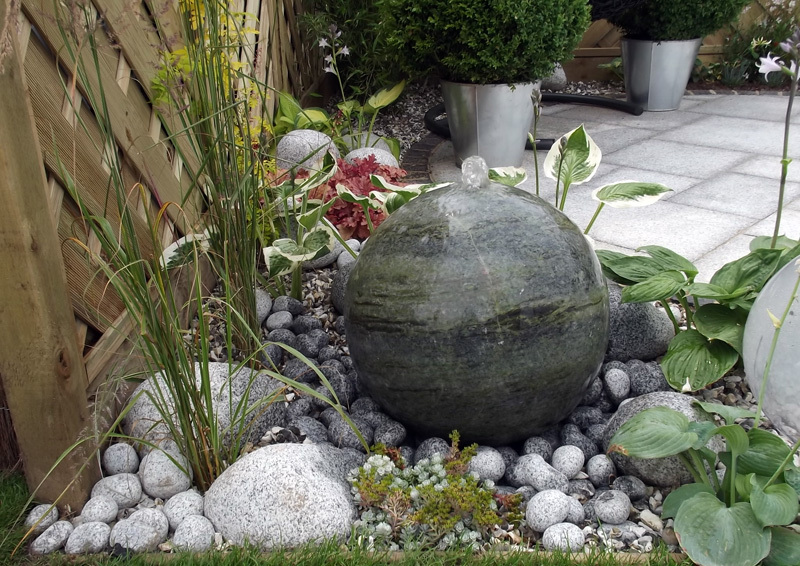 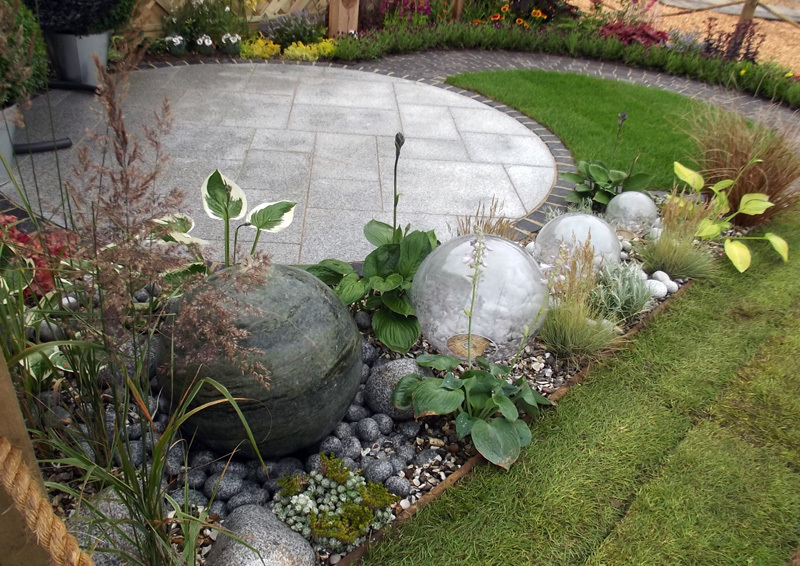 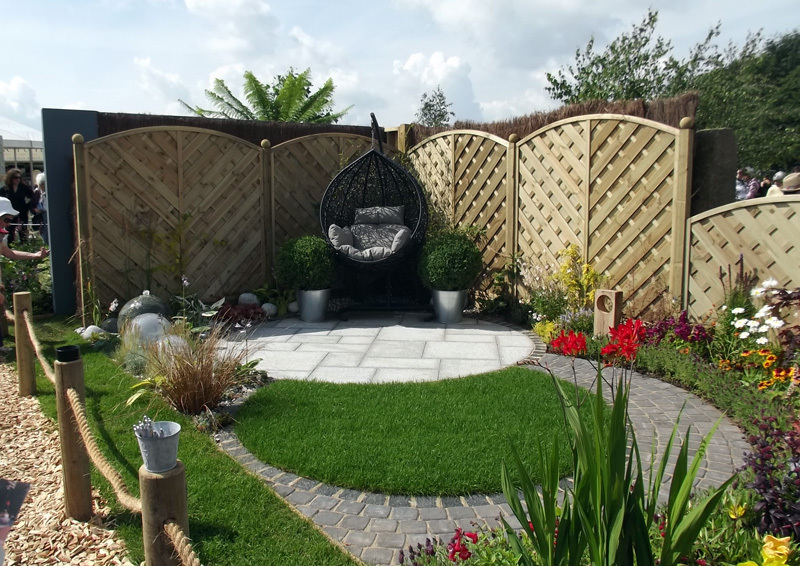 K C Landscaping recently applied to enter a competition at the RHS Tatton Park Show in July. 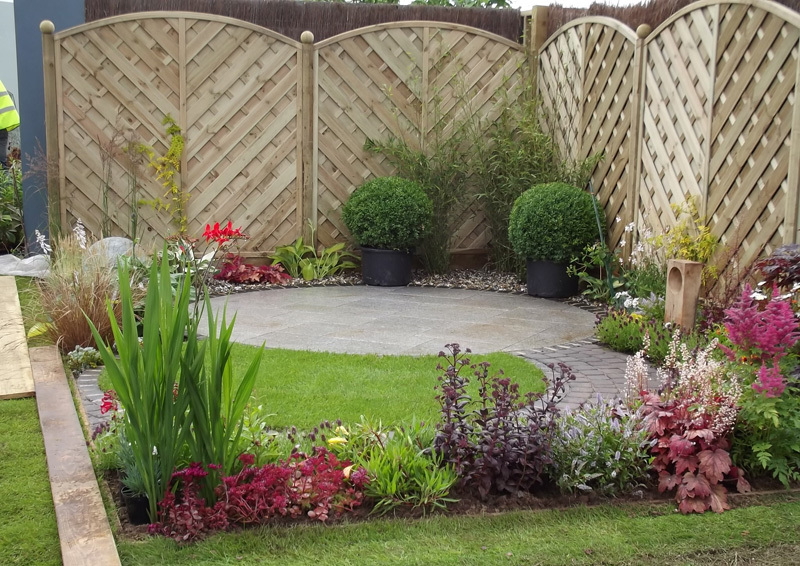 For this we have had to design a Garden Layout and Planting Scheme. 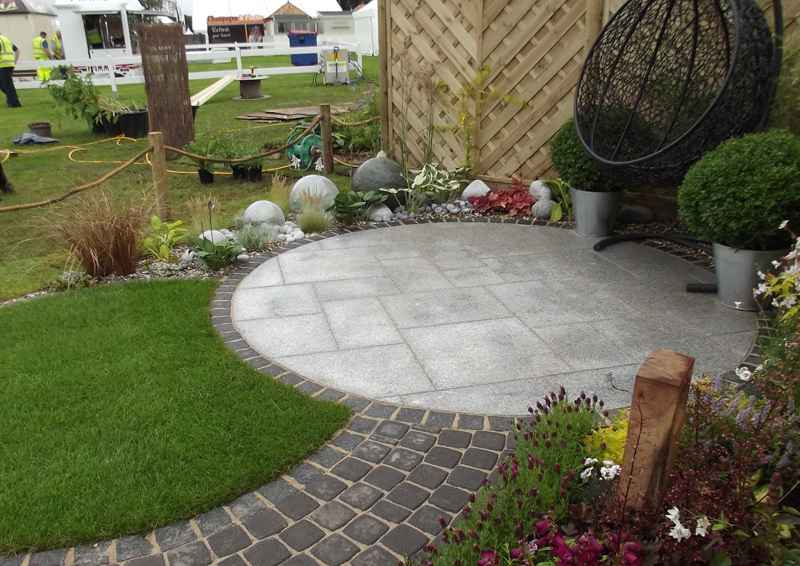 I am pleased to announce that K C Landscaping have been successful in our application. 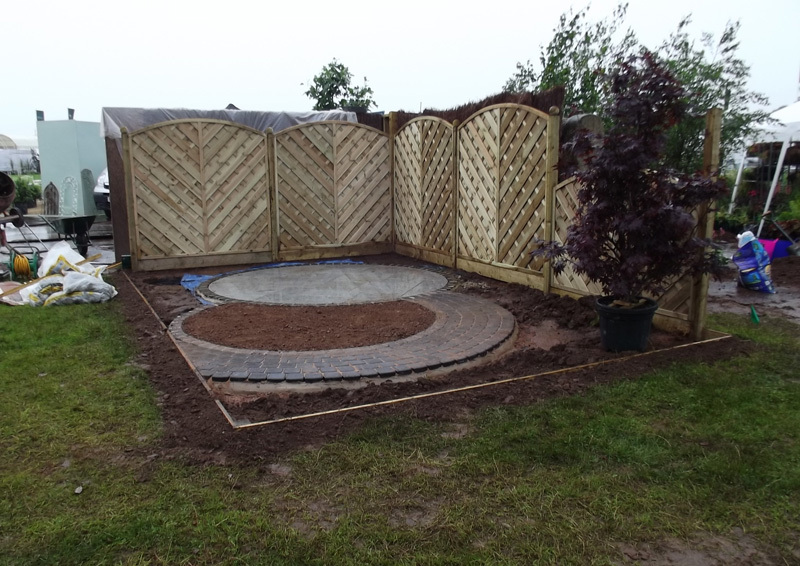 Borderstone Paving have donated Paving and other Materials. 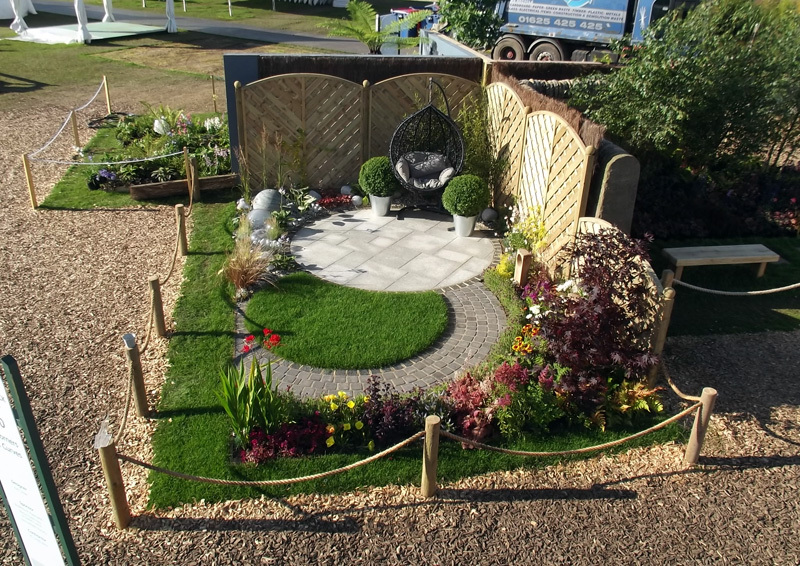 A local business, Barton Fields Garden and Patio Centre are also donating the Water Feature, Garden Furniture and other Materials. 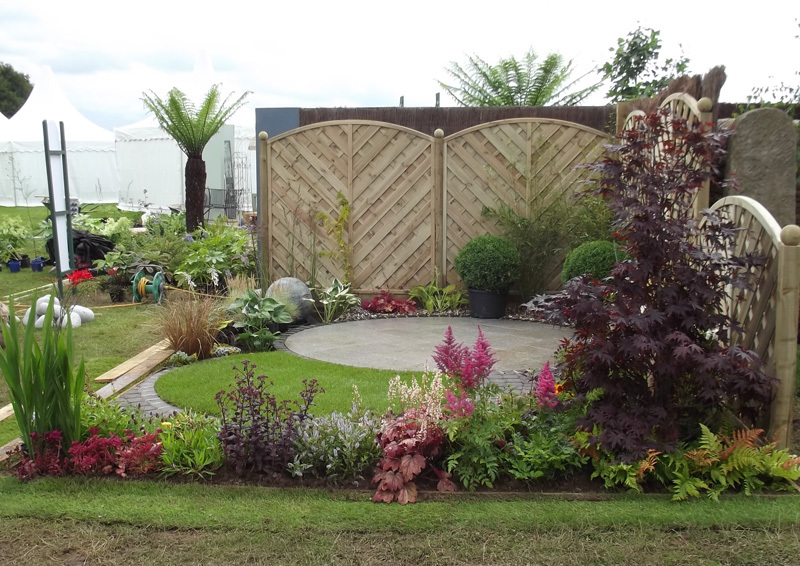 Also, Summerfields Nurseries are supplying all the Plants and Trees.